Semi-recessed oval white ceramic vessel. Premium white glaze for a glossy finish. Kiln dried ceramic construction. High-quality ceramic cartridge. Smooth non-porous surface prevents from discoloration and fading. Vessel features an overflow. Can be used with a deck mount faucet installation. This model is designed with integrated hot-cold supply lines for standard US plumbing connections. All mounting hardware and hot-cold waterlines are included. The larger, oval edition of our above-counter ceramic vessels, compatible with wall or deck mount faucet installation. It features kiln dried ceramic construction, is always double-fired for maximum durability. It measures 21 in. across, 15 in. from back to front, and 7 in. vertically (from rim). Comes in a premium, stain-resistant glossy white finish. 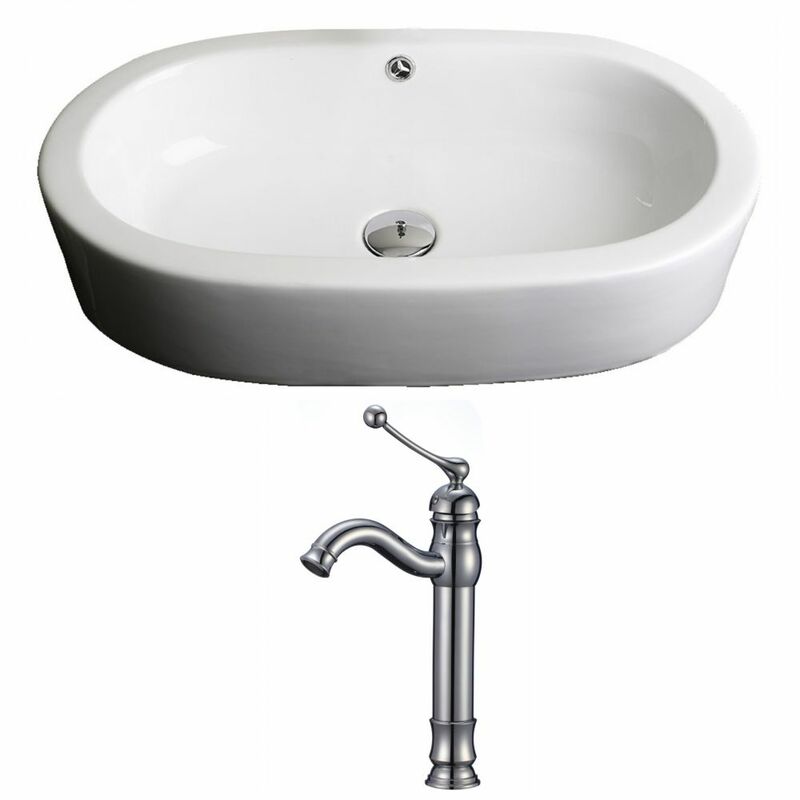 25-inch W x 15-inch D Oval Vessel Sink in White with Deck-Mount Faucet This traditional vessel set belongs to the exquisite Transition design series. It features a oval shape. This vessel set is designed to be installed as a semi-recessed vessel set. It is constructed with ceramic. This vessel set comes with a enamel glaze finish in White color. It is designed for a deck mount faucet.